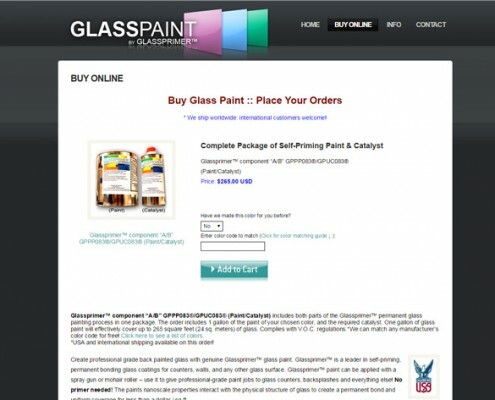 GlassPaint.com is the online storefront and information resource for Glass Paint by GlassPrimer, a line of paint that uses a unique molecular bonding formula to permanently adhere to glass surface. 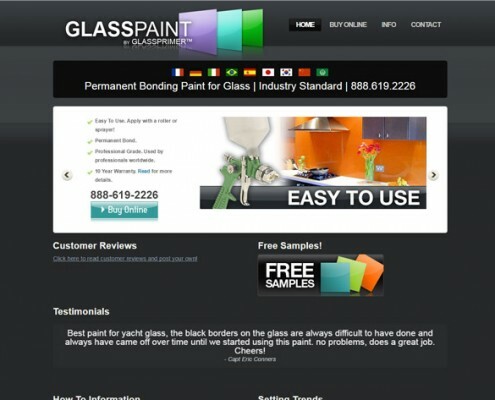 3PRIME rebuilt the GlassPaint website using a custom WordPress theme. The updated Responsive design is fully mobile-ready, and allows visitors to order products and check out via PayPal.